12 Days of Giveaways! Day 8! GorillaPod SLR-Zoom with Ballhead and Cinetics MiniSquid suction cup feet for GorillaPod SLR-Zoom! When you pair GorillaPod SLR-Zoom and MiniSquid, there is a single place you can’t position your camera to capture photos and video! Enter to win one today! 12 Days of Giveaways! Day 3! Our new 3-Way Camera Strap! It is a strap that converts at the push of a button from wrist to neck to shoulder strap thanks to super strong Dyneema cording and an innovative retractor mechanism. Enter to win one today! 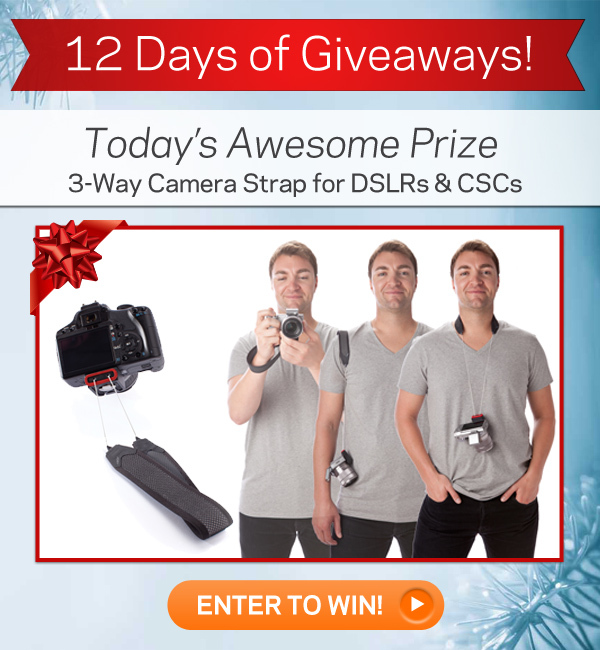 12 Days of JOBY Giveaways! 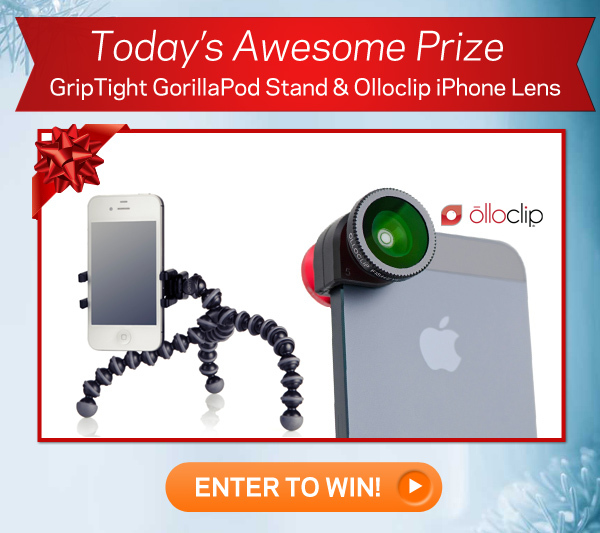 Use the GripTight GorillaPod Stand and Olloclip iPhone Lens to transform your iPhone photography! Take rad macro shots or get creative with a fisheye lens, the possibilities are endless with this unstoppable combo! ENTER NOW! PS. Enter early for more chances to win! The best part, you only need to enter once to be entered to win all of these awesome prizes! 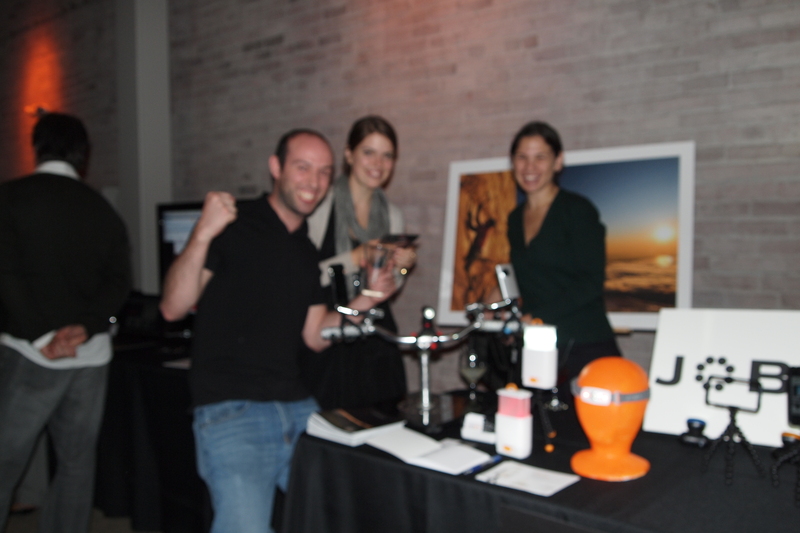 20% OFF ALL JOBY.com! 4 Days Only! We are stoked to announce our last sale of the year! This is the best time to get great deals on all of our awesome products, including our new GripTight Stands for iPhone & Android, new camera straps and all the old favorites, GorillaPod, GorillaTorch and GorillaMobile. Get your coupon and start shopping today! Not sure what to buy? We’ve got a snazzy gift guide and a list of our favorite products to help you out. Well, the day that many people love and perhaps even more people dread has arrived. To celebrate the simple and beautiful core of the holiday (and not the hallmark or the snide consumerism), I offer up these two lovely odes to love. As a lover of modern dance, the lyrcisim and amazing lines of this first piece is just gorgeous. Without a clear plot and with a song that can be both uplifting and sad depending on the listener, “The Thought of You” is a must see. The begining of this Valentine’s movie is a little odd, but as it progresses the stop motion is tender and sweet (ok and maybe a little sachrine), but fun just the same. As you can probably tell from the selection, I am a wee bit of a romantic. So with that in mind, Happy Valentine’s Day from JOBY. Happy New Year from JOBY! 2010 has come to a close and what an amazing ride it has been. At JOBY, we have moved into new offices, launched some amazing new products and have been thrilled by some of the bewilderingly creativity (all very positive) ways that you have used our products in the wild. Have a wonderful New Years Eve and please do send us some photos! Lens Stop Motion from Jeff Dillow on Vimeo. We wish you all a wonderful and safe holiday! Winter in Freiburg (Tilt-Shift-Video) from felixio on Vimeo. There is a clear chill in the air and to say that some of us have been under the weather is an understatement. Not to fear! December brings fun contests, beautiful images of snow and more holiday gift guides to make us all rejoice. This week we launched a campaign via email, twitter and facebook. 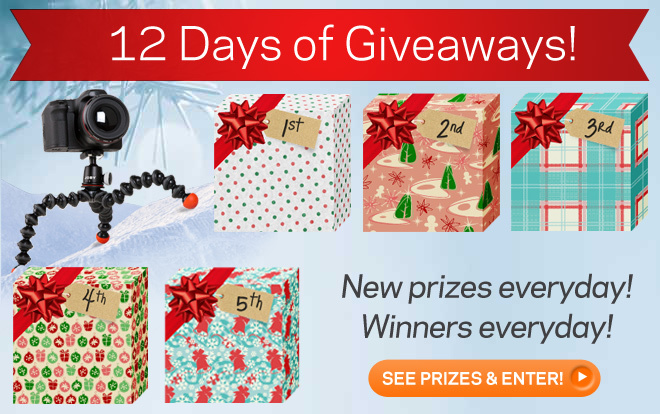 Each day highlights a new offer or chance to win some amazing JOBY prizes. So be sure to follow us to make sure you stay in-the-know. 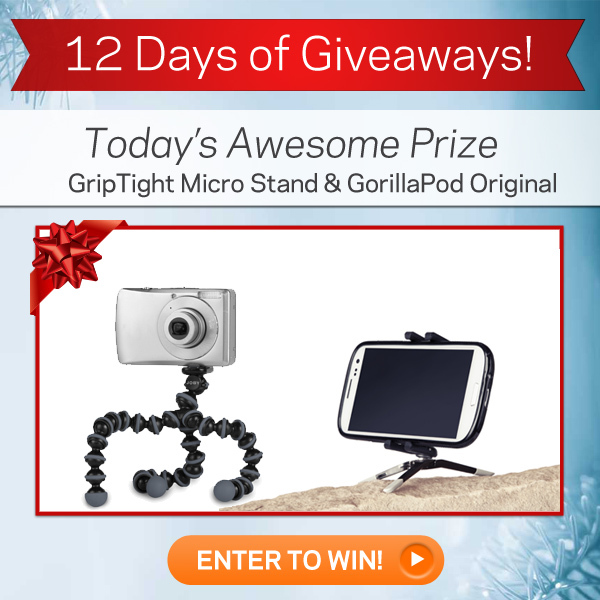 For today, ‘Tis the Season to Explore – you can win a an Outdoor Adventurer Bundle complete with a GorillaTorch Switchback and a GorillaPod SLR-Zoom plus Ballhead by posting your best adventure shot on In the Wild. Still feeling that competitive spirit? 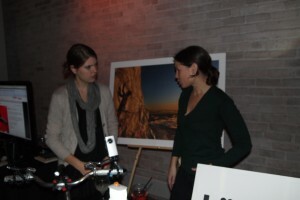 Macworld has unveiled their latest photography contest today and we are thrilled to be the sponsors. The low light contest is designed for all types of cameras from iPhones to DSLRs. We can’t wait to see the entries! 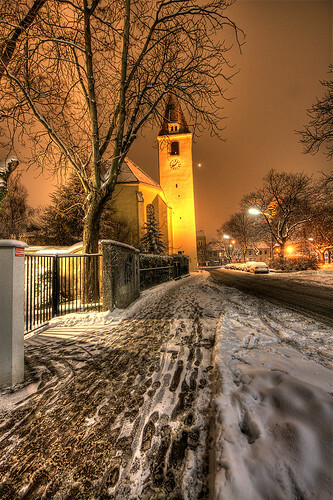 On a more festive and quieter note, I stumbled across this HDR photo shot on a GorillaPod SLR Zoom in Austria, and had to share. And now, some gift guide round ups. 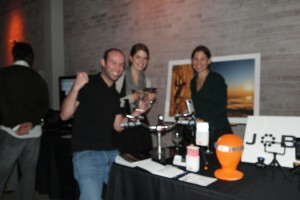 We seem to be showing up everywhere this season, here is just a sampling of some of JOBY product’s recent appearances. 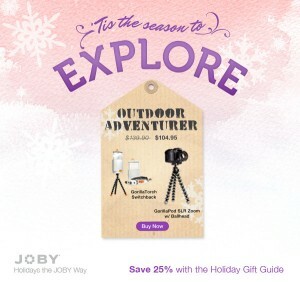 Cool Hunting honored JOBY with multiple appearances in their Holiday Gift Guide. Under the lovely umbrella of “Neat Stuff” Engadget declared both the GorillaTorch Switchback and the GorillaTorch Blade winners for holiday shopping lists. Smarter Travel declared the GorillaMobile a must-have for the savvy traveler. And, if you happen to be traveling on American Airlines this holiday season, you will be able to see a friendly companion in the American Way magazine. We are gearing up for a very exciting holiday season at JOBY. Besides the normal work stuff, recipes are being discussed, travel plans are being arranged and the desserts keeps piling in. In advance of the holidays, the gift guides keep pouring in. This week Wired ranked the Gorillatorch Switchback #2 in their December 100 Things We Want. 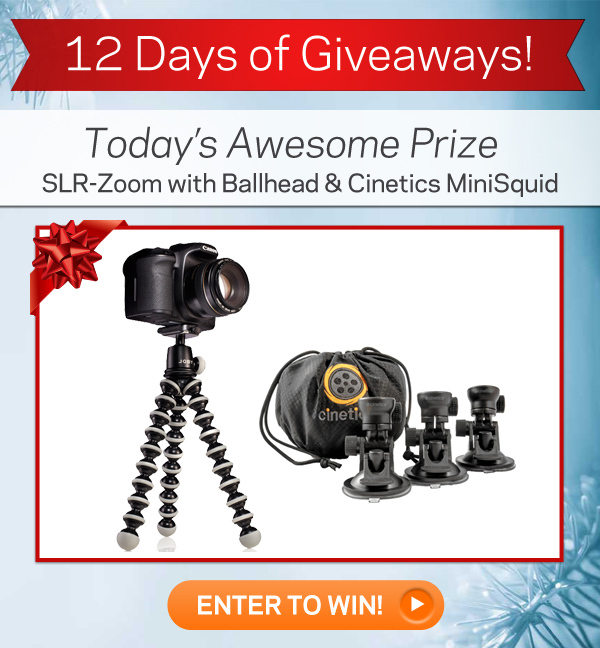 Videomaker kicked off their gift guide with the JOBY GorillaPod Focus with Ballhead X as the ultimate gift for the video producer. 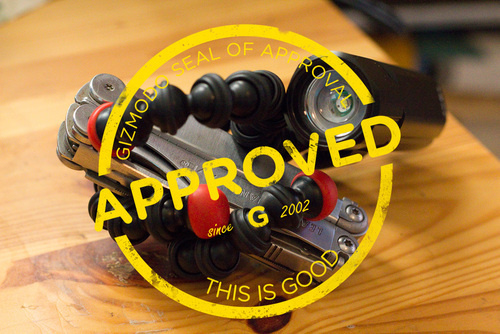 In addition, Gizmodo officially gave the GorillaTorch Blade, their seal of approval. Last week, JOBY was happy to be part of GDGT goodness held at the Galleria in San Francisco. We discovered many things, must notably, people LOVE magnets. 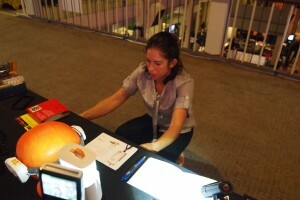 Here are some not-so-fabulous pics of the event set up. 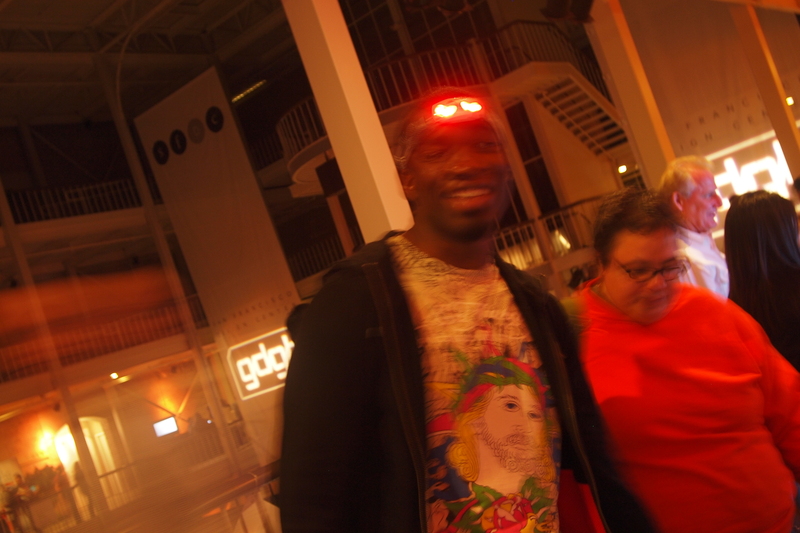 Thanks to our design team for helping out and to the one person who was cool enough to fully embrace the dork factor of a headlamp in a packed group of people. And, finally a lovely trip to the Netherlands with this short movie entitled “A Day in the Life of a Bicycle” by Jeroen Klogieters. A day in the life of a Bicycle [SHORT FILM] from jeroen Klokgieters on Vimeo.